Throughout the Balkan penninsula the Muslim communities are scattered in the most cases in-between greater homogenous Christian entities. This is the direct result of the administrative structure of the Ottoman Empire, which regarded comminities acoording to their religious faith – Muslim, Christian, Jewish, etc. (the millet principle) without respect for ethnic or geographic entity. With the reappearance of the national states in the nineteenth century, the muslim communities on the Balkans saw themselves on the margins of these states. The processes of nationbuilding grossly disregarded ethnic identities and worked towards a homogenization of national culture and language. It should be noted, however, that the cultural identity of the Balkan peoples has developed as a long and intense process of cultural interaction between different races, peoples and cultures. Convergence, contamination and hybridization took place. With the (re)establishment of the nation states in the nineteenth century, the perception of the cultural identity of neighboring communities changed. The national culture was seen (constructed) as unique and therefore different from the neighboring one. The process of convergence, which is a natural process, is perfectly visible in the oral traditions of the Balkan peoples – all of which show a degree of borrowing. Divergence was, however, a matter of social engineering. Periphery and centre were strongly marked. Correct norm and wrong variant created subversive heterogeneity and official homogeneity. 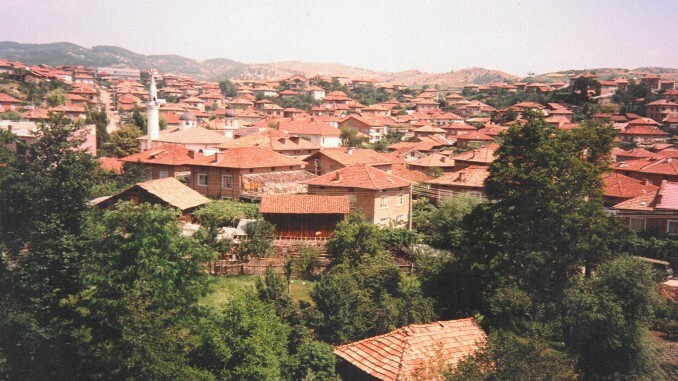 The Bulgarian speaking Muslim communities (Pomaks), scattered mainly in the Rhodope Mountains, can be regarded as a case study of the created tension between cultural and ethnic identity. 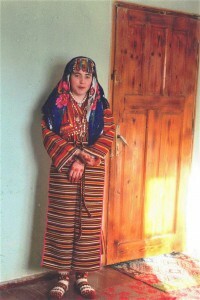 Living mainly in Bulgaria, but also across the border in Greece, Macedonia and Turkey, the Pomaks have been repeatedly told by others what they are and what they are not. The dominant cultures and political actors have different explanations for their name and origin: Turks in Greece, bulgarized Turks in Turkey, islamized Bulgarians in Bulgaria. Different government campaigns in Bulgaria aimed to return them to their original Slavic identity – return to Slavic names (change from a Turkish to a Bulgarian name), return to the original orthodox Slavic faith (baptism rituals) sought at regular intervals (starting at the beginning of the twentieth century) to restore their Bulgarian identity. 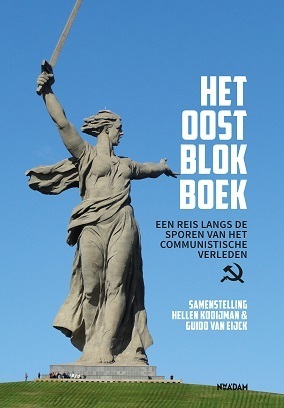 Aggressive campaigns on the part of the communist regime in Bulgaria in 1948-49, 1962, 1970-72 and 1981 (Konstantinov et al., 1991), leading to forceful change of names, have resulted in the withdrawal of the Pomaks from belief in public institutions, preferring the isolated existence in their mostly mountain villages. Their identity seems to be based negation. They know what they are not. Symbol switching, opportunist use of the different names they have, constitute a transitory ethnic identity. Preferring to stay in the village, they marry quite young, before or around eighteen. Their Slavic orthodox neighbors describe them as closed and keeping to themselves. It is interesting to note in this context that Slavic orthodox and Muslim neighbors of the same village live well, respect and visit each other’s weddings and holy days. But foreign Muslims are regarded with all the stereotypes of the cultural opposition own – foreign. There are few mixed marriages and when that happens it is usually a Pomak woman marrying into one of the dominant groups – Bulgarian or Turkish. In contrast to such nationalist declarations, different NGO’s were founded for the study and support of minority problems. The International Centre for The Problems of The minorities and Cultural Interaction (IMIR), founded in 1995, has already published twelve volumes of historical and cultural studies on the question of the Muslim communities on the Balkans and particularly in Bulgaria. Volume 11 (part 1) “The Fate of the Muslim Communities in Bulgaria” (ed. Antonina Zheljazkova), 1997, tackles the problem of the different interpretations of the history and origin of the Muslim communities in the Rhodope Mountains. Every investigation into the history and culture of these communities leads “inevitably – directly or indirectly to the problem of the origin of the Islamized inhabitants of the Rhodopes, the historical spreading of Islam in that region and the national identity of its inhabitants”. (98) The official mythology refers to the forceful and cruel islamization of the Rhodope inhabitants in the sixteenth and seventeenth century, which is based on folk ballads, rather than historical fact. Historiographic studies stress the common elements in the traditional cultures of orthodox Slavic and Muslim communities, their folk customs, holiday rituals, burial practices, close friendships, even blood-Bruderschaft. The high degree of syncretism in Muslim rituals and customs is seen as proof of the common (Bulgarian) origin of the Rhodope inhabitants. A different song about a mixed marriage was sung to me by grandmother Rabye in the village of Breznitza (Western Rhodopi) in 2000. The Bulgarian captain Janin is boasting of his beautiful daughters. He has married well already eight of them, but his youngest and most beautiful, Elenka, is not yet married. The Turkish pasha of Serez (Macedonia) boasts of his handsome sons. He has already married eight of them. Only his youngest and most handsome Jusein is not yet married. The pasha suggests to the captain: “let us marry our children”. The captain is in doubt – he asks the opinion of his daughter. She has no objections! She thinks of the presents for the different wedding guests, as well special presents for the father-in-law and mother-in-law, according to the Turkish custom. She adds: And for Jusein, the present will be me. Quite a contrast, this last song. Instead of a tragic choice of death, a willingness to marry a Turk and knowledge of Turkish wedding customs. The fact that such songs exist questions the official mythology. “The interpretations of the past of the Rhodope inhabitants, product of the Bulgarian historiography, are turned into an instrument for the motives of different state campaigns”. 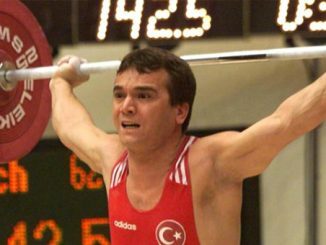 (Konstantinov, 1995) For the nation must consist of individuals, connected by blood ties – a unique organism with one soul and mind. The two female folk singers I interviewed in Breznitza, the cousins Nafa and Fejka (aged between fourty and fifty) told me already during my first visit to Breznitza in 1999, that they disliked being called Pomak; possibly as a reaction to the pejorative use of the name Pomak in Bulgarian, referring to ‘backward and uncouth’, especially in the case of women. When I asked them what I should call them, they answered: “women of Breznitza”. As to the origin of the Pomaks they told me of their family legend, referring to a distant forefather having come from a far land, Misir (Turkish for Egypt). Of the different generations women from Breznitza I have spoken and listened to, only the youngest, Adife (aged 18 in 2000) proudly called herself Pomak. She would parade her being a Muslim in the neighboring town of Goce Delchev by wearing the Pomak female costume and covering her head. In the village, however, she often wore jeans and a T-shirt. She went to the Quran school in the village mosque and asked me for an Arabic dictionary, as she wanted to learn to read the Quran herself, rather than trust the khoja’s (Turkish: hoca – a teacher of the Quran) interpretation. The Muslim religious community of Breznitza is quite progressive – allowing women to enter the mosque for the prayers during Ramadan holiday and allowing girls to study the Quran. On the whole there is a generational difference when it comes to religion. The oldest generation follows strictly Muslim religious rules. The generation between thirty and sixty, although calling themselves Muslims, knows little of the Quran. There is, however, a renewed interest in the youngest, which can be seen as a means of emancipation, a confirmation of ethnic identity. New mythologies are created – about the seniority of the mosque, the ancient grave stones around it (dating back to eleventh or twelfth century), and the legends about a local gazija – a fighter for the (Muslim) faith. They will carry their fluid identities proudly into the world as inhabitants of Breznitza, Pomaks, Bulgarian citizens, Muslims, Balkan inhabitants and – who knows – finally as Europeans. Also quite controversial is the question of the Pomak language or dialect. No Pomak dialect is mentioned in the Bulgarian Dialect Atlas. The inhabitants of the Rhodope Mountains according to the official theory, regardless of religious affinity, speak either Turkish, if they are of the Turkish minority, or the Bulgarian Rhodope dialect. The recent dictionary of Pomak-Greek and Greek-Pomak, published in Greece (Xhanti) is neglected. My informants speak both a purer form of Bulgarian when conversing with outsiders as myself, coming from the capital, or a variant with many more Turkish words when being among themselves. The older informants, used to collectors from earlier (communist) times, whenever using a Turkish word in their songs, ‘corrected’ themselves immediately. My insistence to sing the songs to me as they sing at home, was not answered. 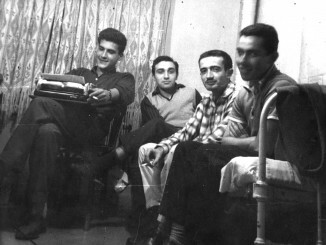 The younger informants (Salih, aged 25), however, were proud to sing songs with many Turkish terms in them – clothing, crafts, objects, terms of endearment. They also supplied a translation for me, to properly understand the songs. Most probably before the twentieth century. Turkish was widely spoken in these parts, for it was only in 1912 that the Rhodope Mountains became part of the Bulgarian national state. Grandmother Rabye used to go to the mosque to have lessons in the Quran as a young girl, but at school she learned the Slavic orthodox prayers, which she repeats to this day. It is quite normal for her to mix the two. In an incantation ritual I heard from her against the evil eye, the ritual stories were told in Bulgarian, but the prayers in Turkish. The first prayer was directed to St. Mary, the second to Allah. Both Antonio Gramsci and Michel Foucault see cultures not as static reified homogeneous phenomena, common to all members, but as dynamic social processes operating in contested terrains in which different voices become more or less hegemonic in their offered interpretations of the world. The cultural homogeneity striven for and found in the official collections of Rhodope folk songs can be contested with the ‘other’ folk songs the Muslim inhabitants of Breznitza, sang to me, representing their worldview. In this worldview it is not a shame to be a Muslim, for as grandmother Rabye says, it does not matter whether you pray to God or Allah, but it is important to pray and be a good person. Since 2000, when only two young men had ventured to look for work in Italy and had come back disillusioned, I cannot keep count of the many young people (even girls) leaving in search of work. Some have gone to Sofia, others to Greece, Turkey, Italy, Spain, the Netherlands. Their aim is to earn enough money to come back to their native village and build a house and a trade. 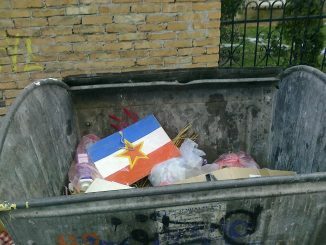 This new generation will abandon the passive resistance typical of the older Bulgarian speaking Muslims. They will carry their fluid identities proudly into the world as inhabitants of Breznitza, Pomaks, Bulgarian citizens, Muslims, Balkan inhabitants and – who knows – finally as Europeans.